Draft: 2003, Philadelphia Phillies, 4th rd. Is a 2000 graduate of Nimitz High School in Houston, TX...Was a baseball and basketball letterman and an academic scholar for the Cougars...Was drafted by the Houston Astros out of high school in 2000, but he did not sign...Grew up playing Little League baseball with Los Angeles Dodgers' outfielder Carl Crawford in Humble, TX...The two played on the Mt. Zion Angels, a team coached by Michael's father, Ray Bourn...Michael resides in Houston, Texas, with Nikita and their son Bryson and daughter Blair...Signed by Dave Owen (Phillies). Split his 10th Major League season between the Cleveland Indians and Atlanta Braves, playing in a total of 141 games, while batting .238 (101-for-425) with 15 doubles, two triples, 17 stolen bases and 39 runs scored. ... Opened his third season with the Indians and batted .246 (71-for-289) with 12 doubles and 29 runs before joining Atlanta on August 7 in a three-player trade. ... His batting average had an up-and-down pattern, as he batted .200 (16-for-80) in April, .301 (22-for-73) in May, .177 (11-for-62) in June, .300 (18-for-60) in July, .156 (10-for-64) in August, and .279 (24-for-86) in September/October. ... Appeared in 138 games defensively, including 115 starts: centerfield (97), left field (16) and right field (2). ... Committed his first error of the season on 9/6 at WSH, snapping his streak of 141 consecutive games (333 total chances among those 141 games) without making an error. ... Went 4-for-11 (.364) with nine RBI with the bases loaded. ... Collected a career-high tying four hits (ninth time) on 9/9 at PHI. ... Matched his career high with a three-steal game (fifth time) on 7/28 vs. KC. ... Wrapped up the season batting .333 (15-for-45) with six walks, seven runs scored and a .412 on-base percentage over his final 13 games. 딨e two-time National League All-Star (2010, 2012) and a two-time Rawlings Gold Glove Award winner (2009, 2010) was signed by Cleveland in spring training and spent his first season in the American League...Steals decreased from 42 to 23 as did his total steal attempts (55 to 35)...Since 2008, Michael leads all Major Leaguers with 280 stolen bases (Rajai Davis is 2nd with 245)...Led the NL in steals over three straight seasons, 2009-2011 (finished 2nd in steals in 2012)...Recorded a season-high 3 steals on August 3 at Miami...Finished tied for 6th in the American League in triples (6), 15th in steals (23) and was 2nd with 12 caught stealings. 닃ollected 31RBI in 61 second half games (tied for 2nd on the team after the break) and hit his first career grand slam on July 24 at Seattle off Hector Noesi, which also equaled his single-game career-high for RBI (4)....Made 124 starts in center field (128 games) and collected 6 outfield assists...Over his last 15 games from Sept 10-on he hit .300 (18-60) with 3 2B, 4 3B, 1HR & 10RBI (10RS). 닗as on 15-day Disabled List (2nd career time, first since 2007) w/a cut right index finger from April 15-May 9...Was injured sliding into first base when he was stepped on by Chicago-AL pitcher Matt Thornton on April 14...,Appeared in two rehab games for AAA Columbus, May 7-8....Was 15th in the AL in OPS .975 at the time of his injury...Was the toughest player in the AL to double up in 2013, hitting into just 2 double plays in 525 at bats (1:262.5)...Also ranked tied for 8th with 19 bunts put into play...Underwent minor surgery on his left hamstring (distal hamstring debridement) on October 15 in Dallas, TX (Dr. Dan Cooper)...Originally suffered the injury on a second base steal attempt in the 9th inning of the final game of the regular season on Sept 29 (played in AL Wild Card Game three days later vs. Tampa Bay). Is a two-time National League All-Star (2010, 2012) and a two-time Rawlings Gold Glove Award winner (2009, 2010) and led the NL in steals over three straight seasons, 2009-2011 (finished 2nd in steals in 2012)...Since 2008, leads all Major Leaguers with 257 stolen bases (Indians high player, Shin-Soo Choo, had 80 over that span) and is 2nd with 59 bunt hits and 175 infield hits...Has stolen 257 of 318 attempts (81%) over that span...Led all NL out¿ elders in putouts (383) in 2012 and finished 1st in Total Zone Runs among all NL infielders in 2010 (25) and 2012 (38)...His WAR since 2009 of 19.0 ranks tied for 13th in all of MLB with Troy Tulowitzki...Over the last two seasons Bourn leads the Majors with 23 multi-steal games (23).Spent his first full season in Atlanta, setting career-highs in home runs (9), RBI (57) and walks (70) as he finished second to Everth Cabrera in steals (42 in 55 attempts, 76%) with his 5th straight 40-steal season... Finished tied for 7th in the entire NL in WAR (Wins Above Replacement, source Baseball-Reference.com) in 2012, a stat that measures a player's total on field value - offense, positional value, defense, basestealing and baserunning...Made his second career postseason appearance for the Wildcard-winning Braves....Ranked T13th in the NL with 171 hits...Was 4th in the Majors in steals and tied for 7th in MLB with 17 games of 3+ hits and had 43 total multi-hit games...Finished 18th in NL MVP voting (6pts)...First career 2HR game on May 22 at Cincinnati.Started 151 of 162 games this season...Had his career-best 14-game hitting streak (23-for-59, .390) snapped on 6/16...Was added to the NL All-Star team (3rd career app.) on July 7 in place of the injured Ian Desmond (WSH). Went 0-for-1 with one strikeout in the game...Was tied for 8th in the NL in walks, 2nd in plate appearances (703), T5th in triples (10).Missed 6 games, Sept 23-29, with an injured left thumb and went just 9-for-51 (.176) over his last 15 games (9/10) to see his season average dip from .283 to .274 that contributed to his .225 (60-for-267, .325 OBP) in the second half...In the first half he hit .311 (111-for-357) with a .366 OBP in 85 games (9th best in NL)...Hit .337 in April, 11th best in the Majors. Split his sixth major league season between the Houston Astros and Braves, combining for a .294 (193-for-656) batting average with 34 doubles, 10 triples, 61 stolen bases and a .349 on-base percentage in 158 games...Joined the Braves from Houston on 7/31 in a trade that sent OF Jordan Schafer, RHP Juan Abreu, RHPPaul Clemens and LHP Brett Oberholtzer to the Astros. Made his Braves debut on 8/1 at WSH (1-for-4)...At the time of the trade, led the majors with 39 stolen bases and the National League with 28 infield hits,while his .303 batting average ranked 13th in the NL...Led all Major Leaguers in stolen bases with 61. Finished third in the National League in hits (193) andsecond in infield hits (38) and bunt hits (12)...Since his first game with the Braves on 8/1, he led the Club in hits (60) and stolen bases ( 22) and startedeach of the team's 53 games in centerfield...Drove in a career-high 50 RBI and matched his career high with 61 stolen bases...Posted a career-best 13-game hitting streak, 7/15-28, in which he batted .424 (25-for-59) with four doubles,five RBI, four stolen bases and a .469 OBP...Matched his career high with four hits 9/9 at STL. It marked his fourth four-hit game of the season, hissecond with the Braves and the seventh of his career...In 105 games with Houston. hit .303 with 26 doubles, seven triples, one home run, 32 RBI and 39 stolenbases (in 46 attempts). The 2010 National League All-Star hit .265 (142x535) with 25 doubles, six triples, two homers, 38 RBI and 52 stolen basesin 141 games during his third season with Houston...set a career-high in RBI, besting his previous high of 35, accomplished in2009...missed the final 13 games of the 2010 season from Sept. 19-Oct. 3 with a strained rt. oblique muscle...led the NationalLeague in stolen bases (52) for the second consecutive season, and became the first player in franchise history to lead the NLin stolen bases in back-to-back seasons...trailed only Juan Pierre's 68 stolen bases for the MLB lead...recorded 25 doubles forthe second straight season, also a career-high 27 in 2009...received the 2010 Fielding Bible Award as the Best Center Fielder inMajor League Baseball, as voted on by a panel of 10 analysts, including John Dewan, Peter Gammons and Bill James...had an NLbest38 infield hits during the season, including 20 in the first-half...his 10 bunt hits ranked 4th in the NL...defensively, was tiedfor 9th among NL outfielders with eight outfield assists...drove in a season-high three runs on Sept. 7 at CHC...went 3x4 with adouble, triple and stolen base in the game...posted a career-long, 12-game hitting streak from Aug. 22-Sept. 3...hit .388 (19x49)with a homer, four RBI and five stolen bases during the streak...reached base safely via hit or walk in 27 straight games with aplate appearance from Aug. 21 thru the end of the season (.421 OBP)...is the longest streak by an Astro since Lance Berkmanwent 28 straight games from April 9-May 10, 2007...hit .356 (36x101) with 11 RBI and 13 stolen bases in his final 26 games of theseason with an at-bat after Aug. 22...reached base safely via hit or walk in 112 of his 138 overall games with an at-bat (81.2%)...in the second-half, hit .280 (60x214) with 18 RBI and 24 stolen bases in 56 games...in 65 games against NL Central opponents,hit .282 (70x248) with 44 runs scored, 12 doubles, 20 homers and 28 stolen bases...appeared in the 2010 All-Star Game andwent 0x1 in one plate appearance...was his first career appearance on a MLB All-Star roster...was the first Astros center fielder tomake the ASG since Carlos Beltran in 2004...is the 13th Astros outfielder in franchise history to make the All-Star Team...hit .255(82x321) with 20 RBI and 28 stolen bases in the first-half to earn All-Star honors...on June 28 at MIL, went 4x6 with one homer,two doubles and a stolen base...tied his career-high in hits in a single game for the third time and for the first time since May 14,2009 at COL...was ejected on May 8 vs. SD by first base umpire Alfonso Marquez for arguing a play at first base...was Houston'sfirst ejection of 2010 and the second of Bourn's career, also ejected on Aug. 1, 2009 at STL by second base umpire Bill Hohn...made his 3rd consecutive Opening Day start for Houston in center field (2008-10)...was the first player to start three consecutiveOpening Days at the position since Steve Finley did so in four seasons from 1991-94. Named the 2009 Astros Team MVP by the Houston Chapter of the BBWAA after hitting .285 (173x606) with a .354on-base percentage in 157 games...also named a Rawlings Gold Glove outfielder...set career highs in nearly every offensivestatistical category, including games, at-bats (606), runs (97), hits (173), doubles (27), triples (12), RBI (35), walks (63), stolenbases (61), batting average, on-base percentage and slugging percentage (.384)...led the NL with 61 stolen bases becomingjust the second player in franchise history to lead the league in steals (also, Biggio, 39, in 1994)...in addition to leading theleague in steals, Bourn ranked highly in the NL in several 'speed-related' categories, including infield hits (1st, 43), bunthits (1st, 17) and triples (T-2nd, 12)...he was also the hardest player to double up in the NL, as he grounded into just onedouble play in 606 at-bats...improved his on-base percentage to .354 on the season, .066 points higher than his OBP in 2008(.288)...this ranked as the most improved OBP from 2008 to 2009 in the Majors (Elias)...led the club and ranked fourth in theNL with a .353 (36x102) batting average with runners in scoring position...started 122 games as Houston's leadoff hitter...began the season hitting primarily second (20g) and eighth (8g) before moving into the leadoff spot full time on May 21...posted a career-long 11 game hitting streak from Aug. 21-Sept. 1...recorded multi-steal games in consecutive contests fromAug. 11-12 at FLA...became the first Astros player to do so since James Mouton stole two bases in back-to-back games fromJune 10-11, 1995...reached base safely via hit or walk in a career-long 25 consecutive games from Aug. 2-Sept. 1...ejectedfrom a game for the first time in his career on Aug. 1 at STL after disputing an out call on a stolen base attempt of second(by first-base umpire Bill Hohn)...on July 11 vs. WSH recorded his first career three-steal game...recorded two outfield assistson July 10 vs. WSH becoming the third Astros center fielder since 2000 to record two assists in a single game...finishedhis campaign with a 71-game and a 284 at-bat homerless streak...is the longest of such a streak by an Astros player sinceOrlando Palmeiro played in 229 games (331 at-bats) without hitting a homer from July 10, 2005 through the 2007 season...matched his career high by recording four hits on May 14 at COL...hit three singles, one double and recorded two steals,including a steal of home...marked his first four-hit game since July 27, 2007 vs. PIT...started his second straight OpeningDay as the Astros center fielder on April 6 vs. CHC. Hit .229 (107x467) with 41 stolen bases in 138 games with Houston...set career highs in mostoffensive categories, including runs scored (57), doubles (10), triples (4), home runs (5), RBI (29) andstolen bases (41)...hit .292 (21x72) in 21 games while batting second in the lineup and .212 (63x297)in 70 games out of the leadoff spot...finished the season ranking fourth in the National League andseventh in the Majors with 41 stolen bases...was the first Astro since Gerald Young (1988) to record 32-or-more steals in the first half...recorded 18 consecutive successful steal attempts to begin 2008 and 21dating back to July 26, 2007...his streak of 18 consecutive is the second longest in club history (28, CarlosBeltran, 2004)...set a career high with four RBI on Aug. 10 vs. CIN...later matched that total with four RBIon Sept. 25 vs. CIN...had seven two-steal games in 2008...posted a career-high hitting streak of six gamestwice in 2008, most recently from July 21-30...did not start in 10 consecutive games from July 27 to Aug.6 because of a right ankle sprain...homered on May 3 as part of back-to-back home runs with BrandonBacke...marked the first time in franchise history since June 14, 1983, that a pitcher was involved in a backto-back home run combination (Doran, Knepper)...became just the third player in MLB history to steal 13bases without being caught before the end of April...went 1x3 with two steals on Opening Day on March 31 atSD...marked the franchise's second two-steal game on Opening Day (Bill Doran, April 8, 1986 vs. SF). In his first full season in the big leagues, hit .277 (33x119) with one home run, three triples and six RBI...appeared at all three outfield positions (LF-79, CF-12, RF-6), playing the majority of his games in left field...started six games in left field, six in center field and three in right field...stole 18 bases in 19 attempts, including his first 15 without being caught...made his first career start on May 23 at FLA (LF), in his 53rd career game...slugged his first Major League HR on July 15 vs STL (Andy Cavazos)...went 4x4 with career-high four singles on July 27 vs. PIT... left the game on July 30 at CHI after running for a fly ball and tripping over the bullpen mound...placed on the 15-day Disabled List on July 31 with a sprained left ankle...activated from the DL on Sept. 10...hit .324 (12x37) in the second-half...hit .353 (6x17) in six games in the leadoff spot...appeared in two games during the 2007 NLDS vs. COL...pinch-ran in Game 1 but was erased on a double-play...in Game 2, he grounded out as a pinch-hitter. Won the Paul Owens Award as the best position player in the Phillies minor league system...Ledall Phillies minor leaguers in SB (45) and 3B (13)...Began the season with Reading (AA) and finished5th in the Eastern League in SB (30) and SB % (88%)...Stole 14 straight bases to begin the season...Named to the EL All-Star team for the 2nd straight year... Went 2-for-3 with a grand slam and a season-high 4 RBI, 6/22 vs Erie... Had 20 infieldhits with Reading... Promoted to Scranton/Wilkes-Barre (AAA) on 7/4... At the time of his recall, was leading the EL in runs,ranked 2nd in triples and 3rd in hits and stolen bases... Batted .417 (15-36), 2B, 3 3B, 5 RBI, 7 R in his first 9 games withScranton... Had a season-best 15-game hit streak, 7/17-8/1 (.310, 18-58, 14 R)... Recalled on 7/30 and made his ML debutthat night vs FLA (0-1) before being optioned back the next day... Hit .330 (31-94) in July with Scranton... Recalled for a2nd time on 8/22 and optioned back that same day... Selected for the USA Olympic qualifying team...Hit .250 (6-24), 2B,2 HR, 4 RBI in 9 games...Slugged 2 HR in Team USA's 8-5 gold medal-winning decision over Cuba...Recalled for the 3rd andfinal time on 9/7...Got his 1st ML stolen base, 9/19 vs CHI...Collected his 1st ML hit - a bunt single - 9/27 at WSH (JasonBergmann)...Named to the EL Baseball Writers Association in-season all-star team. Played for Double A Reading...named to Eastern League midseason All-Star team...named the Most Exciting Player in the EL by Baseball America...named Phillies Minor League Player of the Month for June (.325, 4 2B, 3 3B, 3 HR, 12 RBI)...led allEL outfielders with a .997 fielding percentage (1 E in 332 TC), 21 assists and nine DP...played in Arizona Fall League. Spent entire season with Single A Lakewood...set franchise records in triples (14) and a South Atlantic League-leading OBP (.433)...led entire Phillies organization in stolen bases (57)...named Phillies Minor League Player of the Month for August (.355, 38-107, 2 HR, 10 RBI)...named Phillies Minor League Player of the Week twice, July 5-11 (.526, 10-19, 4 3B, 6 RBI, 8 R) and Aug. 23-29 (.433, 13-30, 3 RBI, 8 R, 5 SB)...rated the fifth-best prospect in the Phillies minor league system by Baseball America...played in the Florida Instructional League. Made pro debut with Class A Batavia...played in the FIL...rated the seventh-best prospect in the Phillies minor league system by Baseball America. July 2, 2017 Salt Lake Bees released CF Michael Bourn. June 2, 2017 CF Michael Bourn assigned to Salt Lake Bees. June 1, 2017 Los Angeles Angels signed free agent CF Michael Bourn to a minor league contract. May 24, 2017 Aberdeen IronBirds released CF Michael Bourn. May 23, 2017 CF Michael Bourn assigned to Aberdeen IronBirds from Norfolk Tides. May 8, 2017 Norfolk Tides activated CF Michael Bourn from the 7-day disabled list. April 13, 2017 CF Michael Bourn assigned to Norfolk Tides. April 11, 2017 Baltimore Orioles signed free agent CF Michael Bourn to a minor league contract. April 1, 2017 Norfolk Tides released CF Michael Bourn. February 22, 2017 Baltimore Orioles signed free agent CF Michael Bourn to a minor league contract and invited him to spring training. February 22, 2017 CF Michael Bourn assigned to Norfolk Tides. November 3, 2016 CF Michael Bourn elected free agency. September 2, 2016 Baltimore Orioles activated CF Michael Bourn. August 31, 2016 Arizona Diamondbacks traded CF Michael Bourn to Baltimore Orioles for LF Jason Heinrich. May 15, 2016 Arizona Diamondbacks selected the contract of CF Michael Bourn from Mobile BayBears. May 10, 2016 Arizona Diamondbacks signed free agent CF Michael Bourn to a minor league contract. May 10, 2016 CF Michael Bourn assigned to Mobile BayBears. May 7, 2016 Dunedin Blue Jays released CF Michael Bourn. April 23, 2016 CF Michael Bourn assigned to Dunedin Blue Jays. April 22, 2016 Toronto Blue Jays signed free agent CF Michael Bourn to a minor league contract. April 9, 2016 Atlanta Braves released CF Michael Bourn. April 2, 2016 Atlanta Braves designated CF Michael Bourn for assignment. August 8, 2015 Atlanta Braves activated CF Michael Bourn. August 7, 2015 Atlanta Braves traded 3B Chris Johnson to Cleveland Indians for CF Michael Bourn, LF Nick Swisher and cash. August 15, 2014 Cleveland Indians activated CF Michael Bourn from the 15-day disabled list. August 11, 2014 Cleveland Indians sent CF Michael Bourn on a rehab assignment to Columbus Clippers. August 5, 2014 Cleveland Indians sent CF Michael Bourn on a rehab assignment to Akron RubberDucks. April 15, 2014 Cleveland Indians activated CF Michael Bourn from the 15-day disabled list. April 10, 2014 Cleveland Indians sent CF Michael Bourn on a rehab assignment to Akron RubberDucks. April 3, 2014 Cleveland Indians sent CF Michael Bourn on a rehab assignment to Columbus Clippers. July 3, 2013 Cleveland Indians activated CF Michael Bourn from the paternity list. June 30, 2013 Cleveland Indians placed CF Michael Bourn on the paternity list. May 9, 2013 Cleveland Indians activated CF Michael Bourn from the 15-day disabled list. May 6, 2013 Cleveland Indians sent CF Michael Bourn on a rehab assignment to Columbus Clippers. April 17, 2013 Cleveland Indians placed CF Michael Bourn on the 15-day disabled list retroactive to April 15, 2013. Lacerated right index finger. February 15, 2013 Cleveland Indians signed free agent CF Michael Bourn. 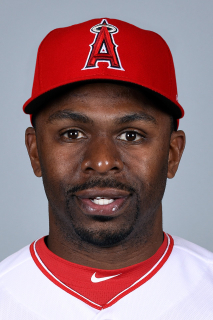 November 3, 2012 CF Michael Bourn elected free agency. August 1, 2011 Atlanta Braves activated CF Michael Bourn. July 31, 2011 Houston Astros Traded CF Michael Bourn to Atlanta Braves; Atlanta Braves Traded CF Jordan Schafer and RHP Juan Abreu to Houston Astros and Mississippi Braves Traded RHP Paul Clemens and LHP Brett Oberholtzer to Corpus Christi Hooks.